Armed robbery suspect captured near Plover Springs Dr.
Plover police say a suspect is in custody for allegedly robbing a Crossroads Commons restaurant on Wednesday at gunpoint. Police Chief Dan Ault said 21-year-old Semaj Amaru Gwyn, of Stevens Point, was taken into custody Wednesday after searching nearby neighborhoods for about 90 minutes on the village’s east side. 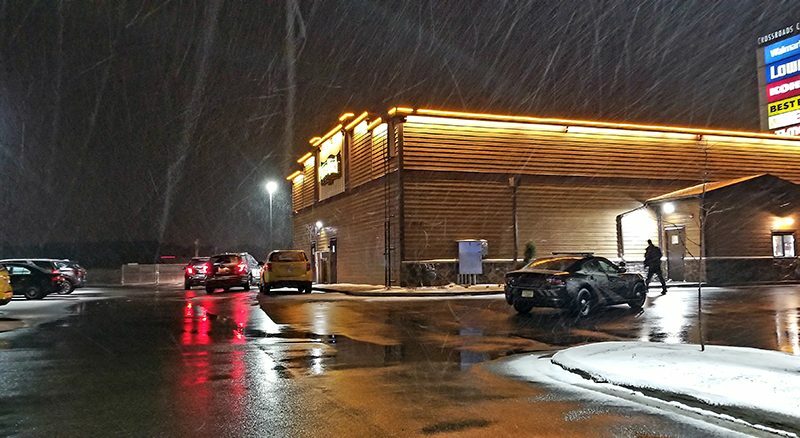 According to a news release from PPD, Gwyn entered the Plover location of Pizza Ranch, 1300 Commerce Pl., at 8:58 p.m. on April 10 wearing a mask. He brandished a handgun and demanded money from the cash register. Gwyn then fled the scene on foot with an undisclosed amount of cash, which police later recovered. Witnesses said they saw armed law enforcement and K9 units searching several wooded areas in surrounding neighborhoods late Wednesday night. Police responded to the scene shortly after 9 p.m. and left the scene at about 3:30 a.m. Thursday morning. No one was injured during the robbery, he added. The suspect reportedly dropped his car keys as he fled the scene on foot. With the help of multiple departments and K9 dogs, police tracked Gwyn for a little over three miles, to Hoover Ave. near Plover Springs Dr., where he was taken under arrest. Gwyn was booked on charges of armed robbery and theft, Ault said. Plover was assisted by police in Stevens Point, Portage Co. deputies, and the Wisconsin State Patrol. The investigation is ongoing, Ault said. Anyone with information about the incident is asked to call Detective Nate Shulfer of the Plover Police Dept. at (715) 345-5255 ext 141.